The recent exposure of former Associate Deputy Attorney General Bruce Ohr's communications with Christopher Steele reveals a degree of subversion against our constitutional Republic that we have not seen since the Civil War. Our entire government is so thoroughly compromised that it is now in the hands of one man, Attorney General William Barr, to save what our Founders created. Hyperbole? I think not. The records recently released by Judicial Watch relate to the efforts by this very corrupt individual, Mr. Ohr, to undermine the collective determination of the American people as to who would lead our country, as expressed in that most sacred expression of our national will -- the election of our President. At the same time that Mr. Ohr's wife, Nellie, was working as a paid operative for Hillary Clinton's presidential campaign through her employer, Fusion GPS, Mr. Ohr himself was working hand-in-glove with a paid British agent, Christopher Steele, to inject fabricated "intelligence" alleging Donald Trump was an agent of the Russian government into our national security establishment. And he succeeded. Mr. Ohr, who the emails show was a dear friend of Mr. Steele, was using his position as the fourth highest-ranking Justice Department official to create a falsely predicated (I.e., based) counterintelligence investigation against the Republican candidate for the presidency of the United States. And he did this with the witting collaboration of dozens of other top-ranking DOJ, FBI, CIA, NSA, NSC and State Department officials, in addition to various operatives of Mrs. Clinton, as well as other foreign agents. Their communications are rife with such treachery. Ladies and gentlemen, it doesn't get any worse than this. I say this as a former federal law enforcement agency official. In fact, I have been having this conversation with old friends and former colleagues who are both retired and active duty senior federal law enforcement officials. To say we are all aghast and appalled by the events of the last three years with respect to this effort by Obama administration officials, working in concert with Hillary Clinton's paid operatives and foreign agents, to use the national technical resources of the United States government to undermine a presidential candidate would be an enormous understatement. I hope my friends are right that there remain many patriotic line agents and analysts in FBI, DOJ and the rest of the national security establishment who are non-political, patriotic and honest. Mr. Steele, a former (supposedly) British spy said he was "desperate" to prevent Mr. Trump's election. Why on earth would a foreign national be so emotionally exercised over the candidacy of an American citizen for president? Moreover, in what universe does it make sense that the FBI would pay this disturbed individual for fiction he was peddling, supposedly gleaned from Russians of all people, while at the same time that he was being paid by Hillary Clinton's campaign through its operatives, Fusion GPS, and Hillary's cut-out law firm, Perkins Coie? And it wasn't like Mr. Ohr was the only top-level official who was aware that the source of these tales about Trump-Russia "collusion" was a foreigner, who was both "desperate" to stop Donald Trump and a paid operative of Trump's opponent, Hillary Clinton. Mr. Ohr testified that when he turned over Mr. Steele's "dossier" of allegations about ostensible collusion between Trump and Russia to the FBI, he informed the FBI of Mr. Steele's personal disdain for Trump and desperation to stop him. The FBI was also aware of the "salacious and unverified" nature of what Mr. Steele provided in his dossier, according to none other than former FBI Director James Comey. Despite knowing all of this, the FBI then used this document as the basis for obtaining FISA warrants on Trump campaign official Carter Page with "two-hop" authority, which enabled them to spy on virtually the entire Trump campaign's communications under color of law. And this wasn't just a spying operation. Mr. Steele leaked to many contacts in the media both his "dossier" and the existence of an FBI counterintelligence investigation of the Trump campaign in an effort to smear Mr. Trump while the campaign was still in progress, and thereby prevent Mr. Trump's election. Imagine if he had succeeded and Mrs. Clinton had won. A paid foreign agent, Christopher Steele, would have succeeded in throwing an American presidential election. Even worse, had Mrs. Clinton won, none of this corruption would ever have been exposed. Now that it has been exposed, it must be addressed and corrected if our country stands any hope of continuing as a viable constitutional Republic. 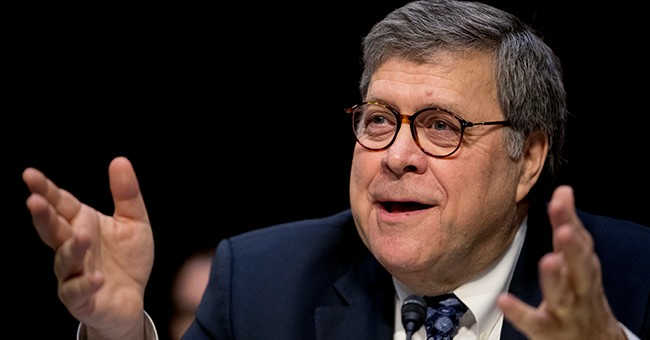 And it falls to one man to make these corrections happen: William P. Barr. A massive personnel housecleaning must occur, as well as a restructuring of the FBI, operating with new management, a new name and under new protocols to ensure that such a political weaponization and gross abuse of our national security agencies never occur again. That is the only means of restoring credibility in these agencies in the eyes of the American people. President Lincoln had to go through numerous generals in chief of the Union Army before he landed on Ulysses S. Grant to win the Civil War and restore the American Republic. Let us hope that Attorney General Barr will be a Ulysses S. Grant.